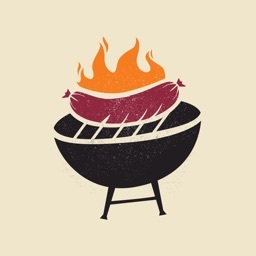 Weber® Grills by Weber-Stephen Products Co.
Weber Grills is an attractive, universal app that is constantly updated with new recipes every Friday and plenty of other features. Tons of recipes. 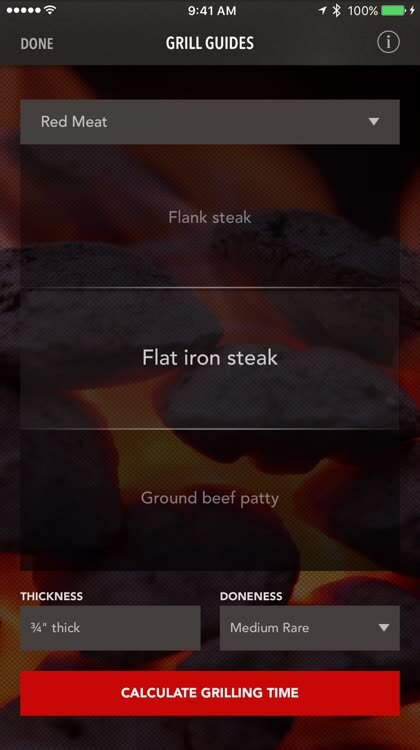 One of the best parts of the app is the huge number of different recipes. A new one is added every Friday, and you can also search for something requiring a specific type of meat or vegetable. Timer time. You can easily set a timer reminder. Timer for specific meats. 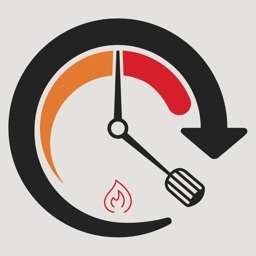 If you're cooking a specific meat, the Grill Guide section will give you a great idea of how long to cook the item to a certain wellness level. 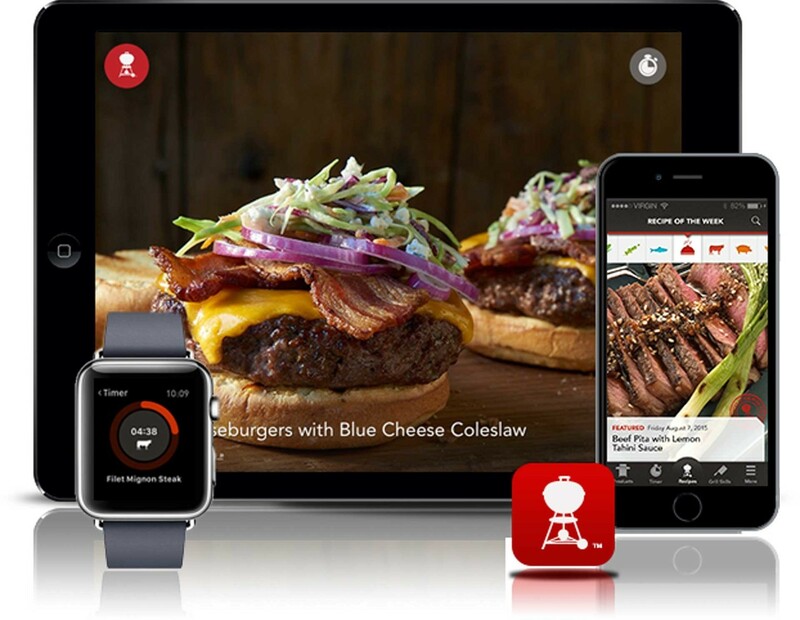 If you are a serious griller, then Weber Grills is a must-have app. 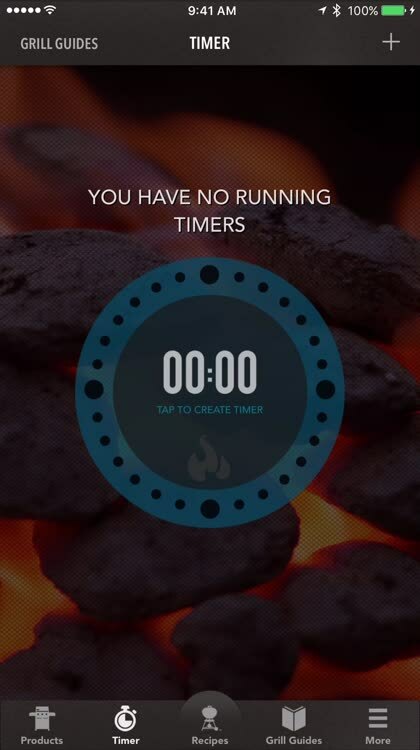 With Weber Grills, not only do you get a gorgeous app that is fun to look at, but you get a ton of recipes and useful tools like timers. 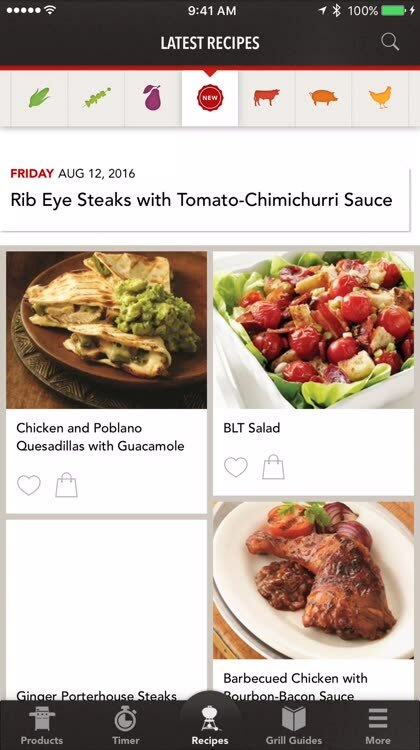 Every Friday, prepare to find 75 new recipes added weekly, and all recipes come with tantalizing photos that show what the final result should look like, step-by-step instructions, recipe reviews, favorite recipes for later, and the option for you to add your own notes and edit recipes to fit your dietary needs. There are also built-in grocery lists when you find a recipe you like, grill guides so you don't overcook or undercook the meat, and even timers so you don't have to switch between apps. 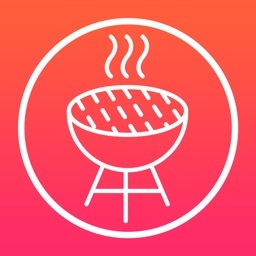 And if you're in the market for a new grill or accessories for your BBQ, then you can even do that in the Weber Grills app too. It's a complete companion for those who love to grill. Looking for new and tasty recipes to try on on your grill. Want to access the app on their Apple Watch. Want a traditional recipe app. Weber Grills features a beautiful interface and it's super easy to use. Plus there are a ton of recipes, with new ones added weekly, and a lot of useful features to make cooking out easier than ever before. 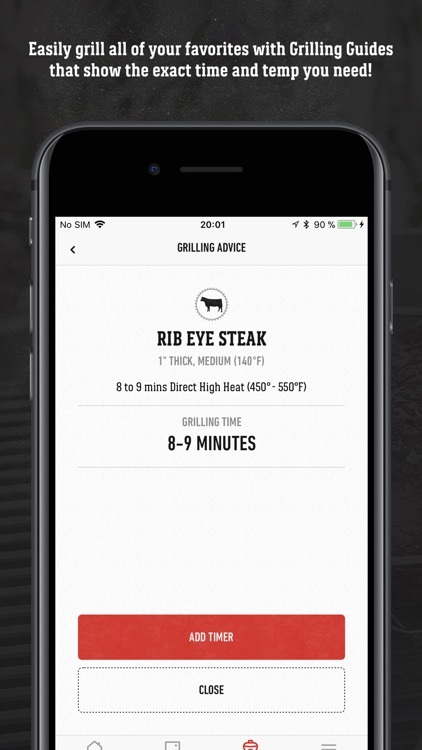 The newly redesigned Weber Grills App helps every griller, regardless of experience. 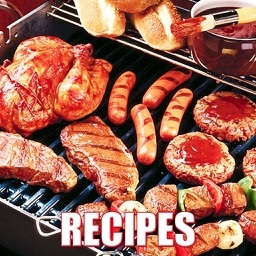 Hundreds of mouth-watering recipes included—steaks, burgers, brisket, ribs, fish, whole chicken, and more—with step-by-step grilling instructions, technique videos, how-tos, tips, and a handy timer. 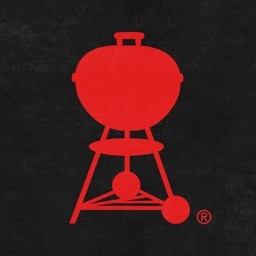 Register your grill and kick-start your warranty in the Weber Grills App, too. With assembly instructions, warranty information, and helpful videos, you can manage your Weber grills from the palm of your hand. Sign up (it's so easy) and get your own Weber ID (or log in with your existing ID), and then register your grill(s) to get added benefits. You'll be able to access your warranty, manual, schematic, and helpful videos that include how to set up your grill, how to attach the fuel tank, how to clean your cooking grates ... pretty much everything you need to get started and keep going. With more than 400+ original recipes, you’ll never suffer from an empty grill. Each recipe includes a full-color photo, grill setup guide, grocery list, and the ability to save to your favorites and keep notes. Most recipes have relevant grill skill tips and timers, too, and some recipes even include step-by-step videos. 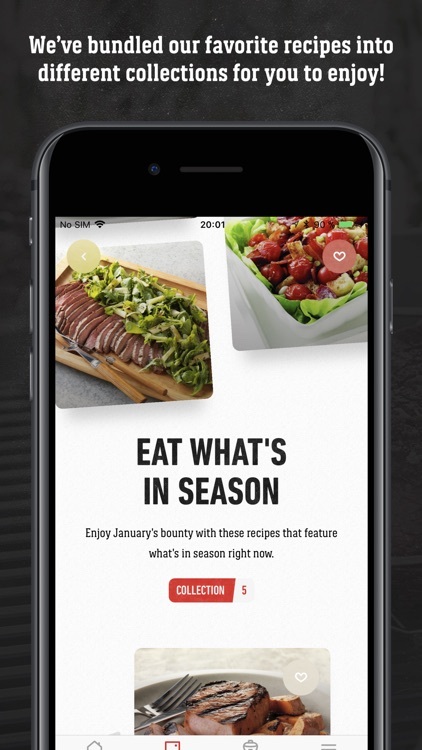 Best of all, each month the app will be updated with a recipe enhanced with a step-by-step video to walk you through the recipe for grilling success. Love burgers? You'll find a collection of our favorites. How about steak and ribs? Yes and yes? We've put these and several more collections together for you, including healthy recipes, smoking-on-a-plank recipes, rotisserie recipes, and more. When it comes to cooking times, you’ll never have to wing it again. Grill guides give you cooking times and direct or indirect instruction for almost anything you can put on the grill—meat and veggie alike. 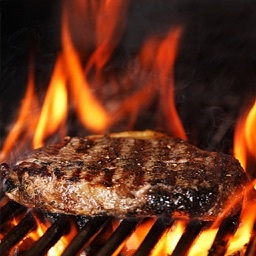 And once you've determined your cooking time, set the timer so that everything comes off the grill without a hitch. Learn essential grilling techniques for mastering favorites such as steak, ribs, salmon, and turkey with short instructional videos. From the basics to expert grilling tips, you’ll take your grill skills to the next level. Tap on the "Add to Grocery List" tab within each recipe and all the ingredients you need will be added to your Grocery List, even for multiple recipes. How great is that? Find whatever you’re looking for using the app-wide search functionality.